What is it like to treat freshly excavated material? 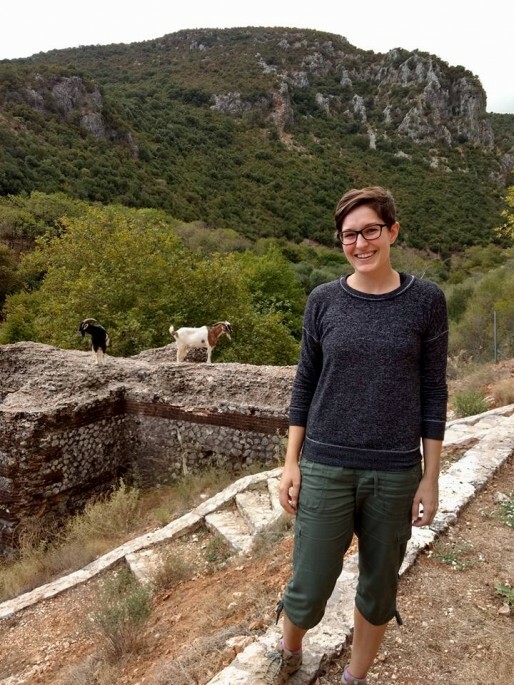 Meet the Conservation Interns of 2018 Summer Agora Excavations and find out! Topics include terracotta votives from Acrocorinth, defensive watchtowers at Mantineia, Hippias of Erythrai, and marble statuary of Asklepios from the Athenian Agora. 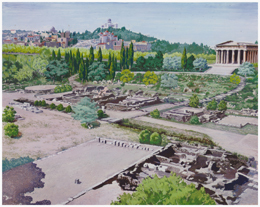 Topics include a Middle Helladic cist tomb in the Athenian Agora, prehistoric bronze shields from Delphi, Boiotian pottery decorated in the so-called Six’s technique, and Late Antique inscribed altars from the Asklepieion at Epidauros. 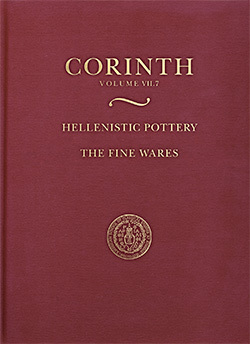 The American School of Classical Studies at Athens is pleased to announce the publication of Hellenistic Pottery: The Fine Wares (Corinth VII.7) by Sarah A. James. 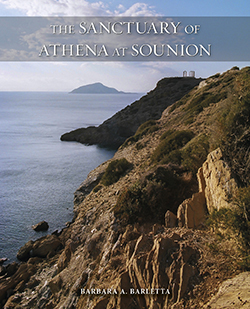 The American School of Classical Studies at Athens is pleased to announce the publication of The Sanctuary of Athena at Sounion (AAAC 4) by Barbara Barletta. 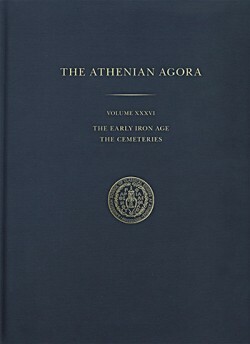 The American School of Classical Studies at Athens is pleased to announce the publication of The Early Iron Age: The Cemeteries (Agora XXXVI) by John K. Papadopoulos and Evelyn Lord Smithson. 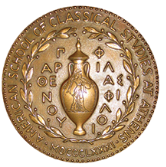 The Trustees of the American School of Classical Studies at Athens have announced Ronald S. Stroud as the winner of the Athens Prize awarded for outstanding contributions to the advancement of knowledge of ancient Greece. 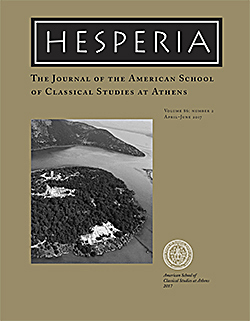 The American School of Classical Studies at Athens is pleased to announce the publication of Hesperia 86.3. 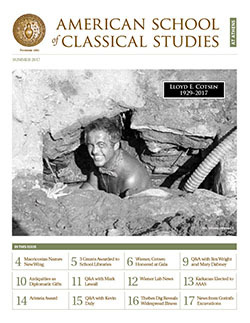 Topics in this issue include a review and analysis of the evidence for the origins of the Ionian cities of Asia Minor, a new interpretation of the Dipylon oinochoe graffito, the publication of a deposit of ostraka from the Athenian Agora, and new evidence for the dating of defensive fortifications in southwestern Anatolia based on the excavations of the Bastion complex on the Tepecik acropolis at Patara in southwestern Turkey. 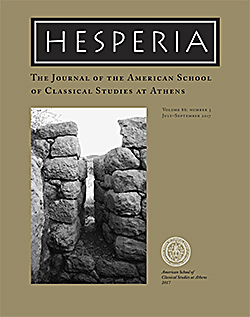 After a comprehensive search, the ASCSA has chosen Jennifer Sacher to be the next editor of Hesperia. 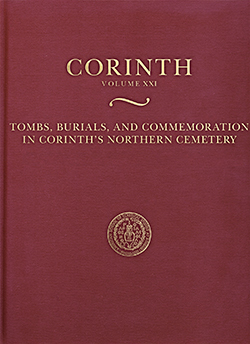 Tombs, Burials, and Commemoration in Corinth's Northern Cemetery (Corinth XXI) is now published and available for purchase! 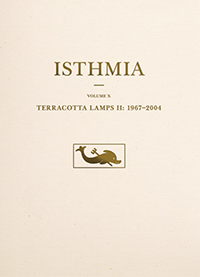 Terracotta Lamps II: 1967-2004 (Isthmia X) is now published and available for purchase! The American School's Summer 2017 issue of the newsletter is now online for viewing. 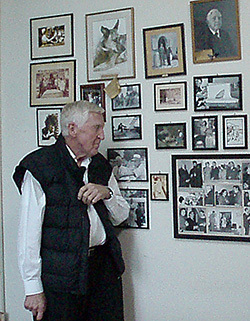 Meet Robert Pounder, an Emeritus Professor of Classics at Vassar College who has been involved, in one way or another, with the American School for 50 years now. 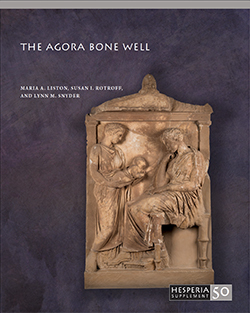 An interview with Carol L. Lawton about the newest volume in our Athenian Agora series. 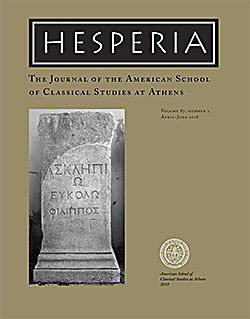 The American School of Classical Studies at Athens is pleased to announce the publication of Hesperia 86.2. 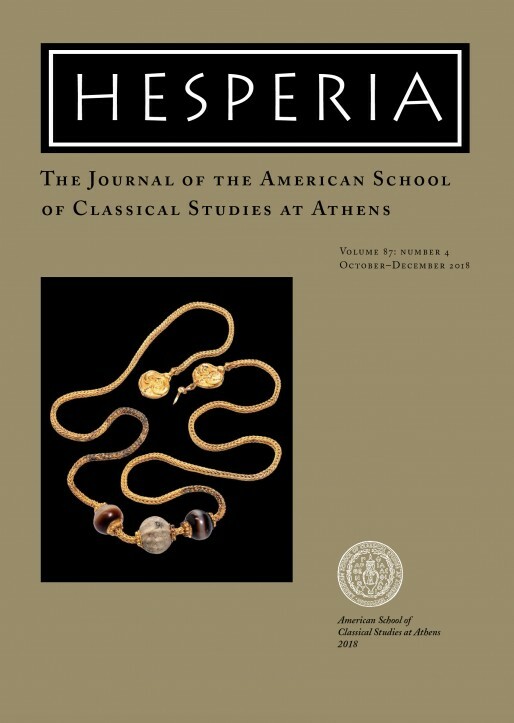 Topics in this issue include an overview of Archaic and Classical Butrint, a reconstruction of the sculptural program of the Temple of Apollo Patroos in the Agora, the initial publication of a Hellenistic decree from Athens, and a revisiting of the location of the Battle of Philippi. Votive Reliefs (Agora XXXVIII) is now published and available for purchase! 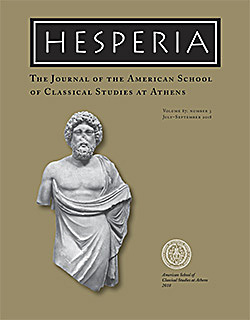 The American School of Classical Studies at Athens is pleased to announce the publication of Hesperia 86.1. Topics in this issue include the sculptural program of the Athenian Treasury at Delphi, the results of recent work at Kolophon, newly published sculptural pieces from the Agora, and new proposals concerning the Antikythera Mechanism. Researchers will not be able to access the Archives of the G.L. between July 1, 2017 and February 28, 2018. H πρόσβαση των ερευνητών στα Αρχεία της Βιβλιοθήκης δεν θα είναι δυνατή από 1/7/2017 έως 28/2/2018. Chavdar Tzochev discusses his work dating and contextualizing Thasian amphora stamps in the Athenian Agora. Athenian Agora XXXVII: Amphora Stamps from Thasos is now published and available for purchase. 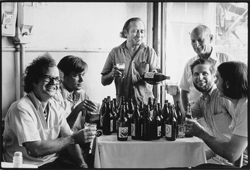 Come travel with us as we pay tribute to John Camp's amazing 50 years at the Agora through this inspiring 6 minute video. 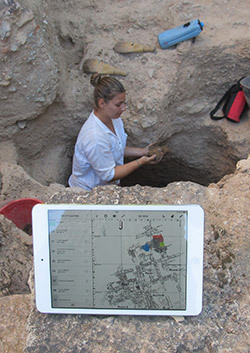 A special excavation issue covering activities at the Athenian Agora, Ancient Corinth, and School-affiliated excavations is now available for viewing online. 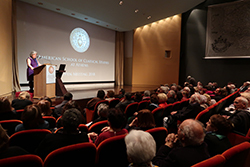 Agora Excavations Director John Camp and the A.G. Leventis Foundation were both recognized for their contributions at the May 12th event in New York City. 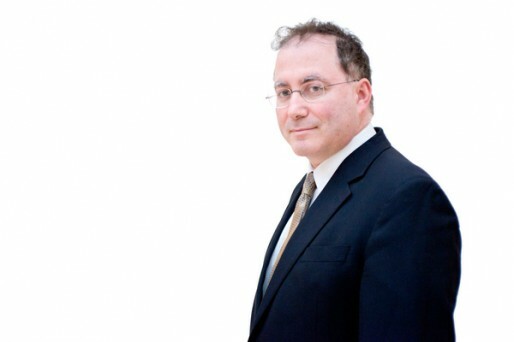 School Director Jim Wright and Mellon Professor Kevin Daly will be participating in this forum on September 14-16 sponsored by the International New York Times and held in part in the School&apos;s Cotsen Hall and the Stoa of Attalos. 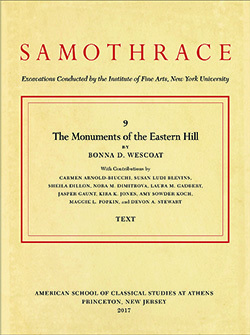 Topics in this issue include the excavations at Gournia as well as those conducted at the Athenian Agora, the term of the treasurers of Athena, a Boiotian red-figure calyx krater, the hands and dating of Athenian dramatic festival inscriptions, and the use of spolia in William of Moerbeke&apos;s church at Merbaka. The ASCSA continued to host more visitors throughout the month of June as leadership from The Hellenic Initiative and a group from Quicken Loans were introduced to the work of the School. Topics in this issue include the EH II–III transition at Lerna and Tiryns, pedimental reliefs from Helike, "nonsense" inscriptions on Attic vases, Agora I 5162, and Italian sigillata stamps on Crete. Topics in this issue include the Panayia Field at Corinth, the Bellerophon myth in Corinthian art, the archaeobotanical remains of Building Δ at Hellenistic Krania, Antiochos IV’s arrival in Athens, and the Roman-period bronze statuettes found in the Agora. Long-time Agora Excavations secretary Jan Jordan retires from the school after 30 years of service. 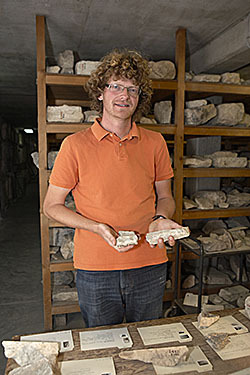 During the fall of 2013, Sebastian Prignitz, a scientific researcher at the Inscriptiones Graecae program of the Berlin Academy, was in Athens to work on Greek inscriptions from the epigraphical collection of the Athenian Agora. 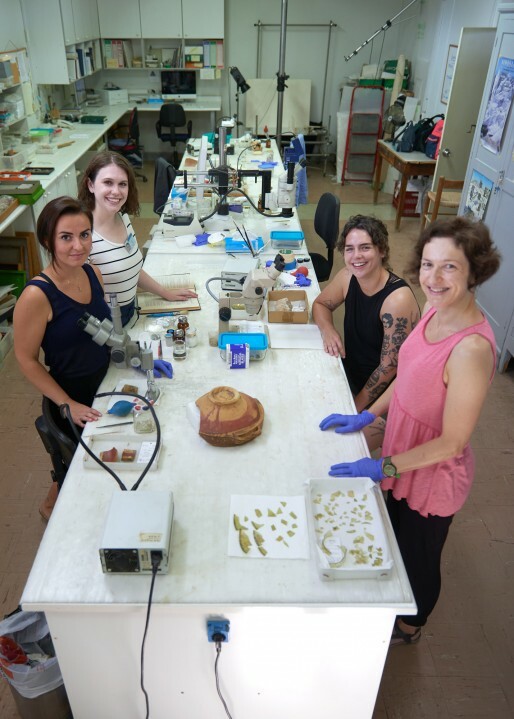 Three interns worked at the Agora this summer in the conservation lab under the supervision of Maria Tziotziou where they gained invaluable experience in the field. 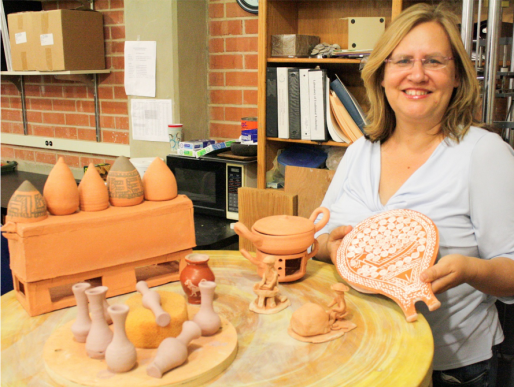 In 2013, Joanita Vroom and team researched ceramic finds of the Byzantine, Frankish, and Ottoman periods in the Agora. The Archives report that the conservation of another 56 architectural drawings by William Bell Dinsmoor has been completed. On June 15, more that 200 members of the cultural organization "Europa Nostra" visited the Ancient Agora as part of their annual convention. 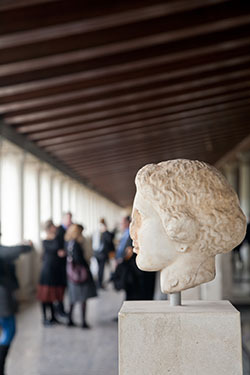 On November 20 2012, the Greek Minister of Culture, Mr. Tzavaras, inaugurated the EEA Grants project, “Reviving the Ancient Agora, the Birthplace of Democracy” with a sculpture exhibition at the Stoa of Attalos. The Symposium in Context: Pottery from a Late Archaic House near the Athenian Agora (Hesperia Supplement 46), by Kathleen Lynch, has won the 2013 James R. Wiseman Book Award from the Archaeological Institute of America. 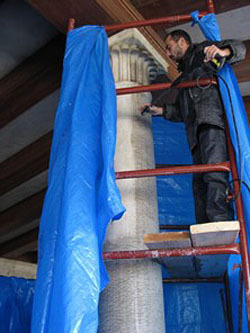 A renovated Stoa of Attalos and new digital library for the Agora Excavations are set to debut July 18, 2012. Annotated excavation notebooks and 360 degree object photography on the web, as well as newly conserved (and some never before seen) sculpture in the Stoa galleries are all to be unveiled. See a preview here. 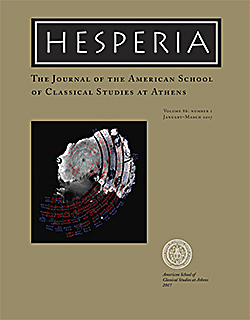 The June 2012 issue of Hesperia is now available! 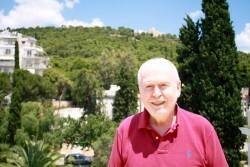 John Traill describes his work on Daniel Geagan&apos;s Inscriptions: The Dedicatory Monuments (Agora XVIII, recently published by the ASCSA), and how he came to work on the inscriptions in the Athenian Agora. 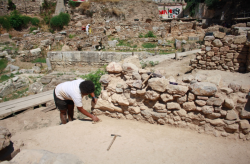 The number of workers at the Agora swell in summer as excavation volunteers and conservation interns join staff. Meet the intrepid workers of 2011. Stamps on ancient ceramic containers have been documented and studied for decades through traditional methods, such as drawings, paper rubbings and photography. Chavdar Tzochev and Katie Simon are exploring the possibility of applying a new technology, which may leave the traditional means in the past. 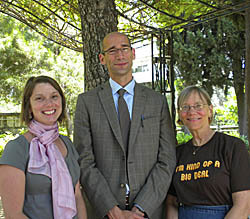 On April 5, 2011, Malcolm Wiener Visiting Research Professor Michael MacKinnon (University of Winnipeg) delivered the lecture, "Animals in the Agora: Reconstructing Cultural Life in Ancient Athens from Zooarchaeological Remains." 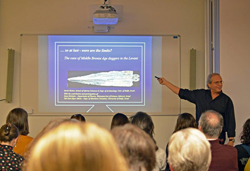 "The Matter of Antiquity: An Archaeological Conference in Honor of Susan Rotroff" was held on June 17–18 and filled with colleagues and well-wishers of this noted Agora scholar and recent winner of the AIA Gold Medal. Read more to see why we think Susan is "kind of a big deal." Agora Excavations Director John McK. Camp II was honored on March 14th, 2011 by the Society of Athenians as a philhellene and for his many years of archaeological work in Athens. A new web research interface is available on ASCSA.net, and tips on using the online database. 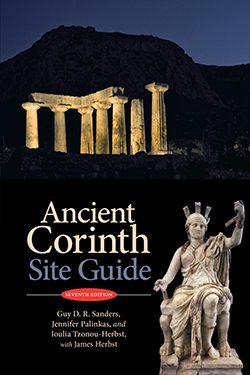 Two books devoted to the Agora Excavations were published in 2010: The Athenian Agora Site Guide (5th ed.) and The Athenian Agora: New Perspectives on an Ancient Site. The excavation season is not the only activity at the Agora in summer. An ambitious program of conservation is also undertaken through the Agora Conservation Laboratory Internship. Meet the interns enlisted by the Agora for 2010. Longtime ASCSA Managing Committee member and Agora staff member Susan Rotroff has been awarded the prestigious AIA Gold Medal in recognition of her distinguished contributions to archaeology through fieldwork, publications, and teaching. The staff of the Athenian Agora and Corinth Excavations has been collaborating to bring their vast electronic resources together in a single online interface. These databases provide a valuable research tool for scholars far beyond Athens and Corinth. They are available at ascsa.net. Representatives of the German Archaeological Institute and the ASCSA convened in Athens and Corinth November 4-7 to discuss problems in information technology as they pertain to large-scale excavations. A landmark in the study of ancient glass from Greece, Agora XXXIV presents 404 vessels, representing almost every type of glass known from antiquity. 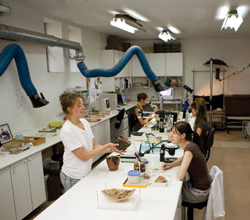 The number of volunteers and field personnel swell in summer when the Agora&apos;s excavation season is underway. Here are some of the faces of summer 2010. 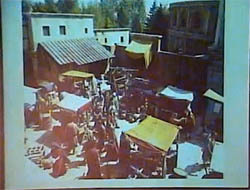 The 2009 summer excavation season at the Agora is wrapping up with various pursuits undertaken as described here. 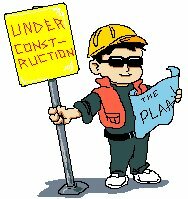 The Excavations at the Ancient Agora have begun their season which extends to the end of July. 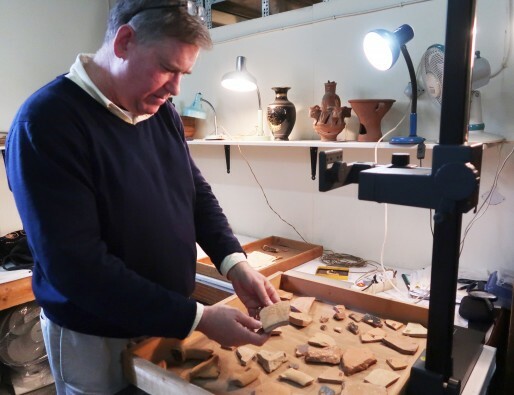 Buried under piles of sherds in the Stoa of Attalos all winter, John K. Papadopoulos and Sara Strack emerge to describe their findings and how their work will shed light on a period often cast as a Dark Age. A team of 62 individuals, part staff and excavation employees and part volunteer interns from 23 U.S.-based universities and 7 foreign countries, participated in last summer&apos;s excavation season at the Athenian Agora. Their preliminary report is detailed here. This long-awaited seminal work by John W. Hayes, one of the world&apos;s leading experts on Roman pottery, will be an essential reference work for scholars throughout the Mediterranean. In Hesperia Suppl. 38, Michael B. Walbank presents the editiones principes of 100 fragmentary inscriptions from the Athenian Agora, providing new insights into the workings of the Athenian state. 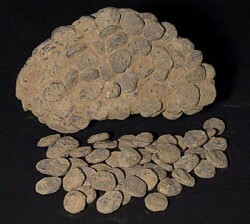 A 4th-century B.C. 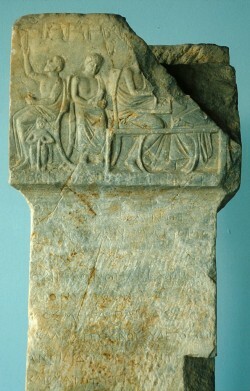 funerary horos (I 7525) discovered in the excavations of the Athenian Agora in 1981 preserves the name Philiste. A previously published funerary stele found in the Agora in 1934 is inscribed with the same name (IG II2 6133a). Although it cannot be demonstrated conclusively, it is possible that these funerary inscriptions originally belonged to the same grave plot. For the Athenian Agora's conservation professionals, no pot is too fragmentary or coin too degraded. Karen Lovén, assistant conservator, reflects on a year full of new discoveries. 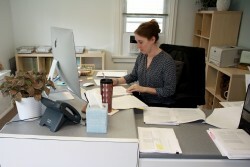 She also describes the lab's important role in education.